At the ongoing MWC 2018 event, Sony announced the Xperia Ear Duo headset in addition to the Xperia XZ2 line-up. The Ear Duo blends smart assistance features with a novel take on sound isolation. A unique trait of this headset is Sony’s proprietary ‘Dual Listening’ technology, which allows users to simultaneously listen to audio from the headset, as well as ambient sound. 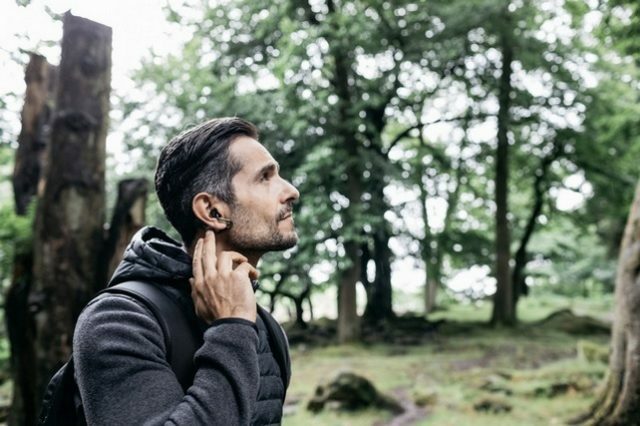 The earbuds comes with a ring-like design for earbuds which do not fully cover the ear canals, allowing users to listen to sound from external sources too, without any interference. The Xperia Ear Duo also features the company’s Daily Assist technology, which feeds relevant information to users such as narrating news headlines, reading meeting schedule, etc. The buds can be paired with Google Assistant or Siri, and can summon the virtual assistants through voice commands. Users also have the option to interact with the device using hand gestures as well as head gestures, such as nodding or shaking the head to receive or decline an incoming call. The Xperia Ear Duo is compatible with smartphones running Android 5.0 or higher and iOS 10 or later versions, pairing with them over Bluetooth 4.2 via a companion app. Each earbud is equipped with a 56 mAh battery and can be recharged in the included charging case. The case itself has an inbuilt battery of 750mAh and can be charged via a USB Type-C cable. The IPX2 rated headset also features a touchpad which is used to execute hand gestures, and it is claimed to deliver a talk time of up to 2.5 hours and a listening period of maximum 4 hours when fully charged. The Xperia Ear Duo will be available in Gold and Black color options, carrying a steep price tag of $279.99. Pre-orders for the headset are set to start today on Amazon, and it is expected to hit the shelves in May later this year.